Leaked picture 2015/16 Manchester United Adidas shirt? 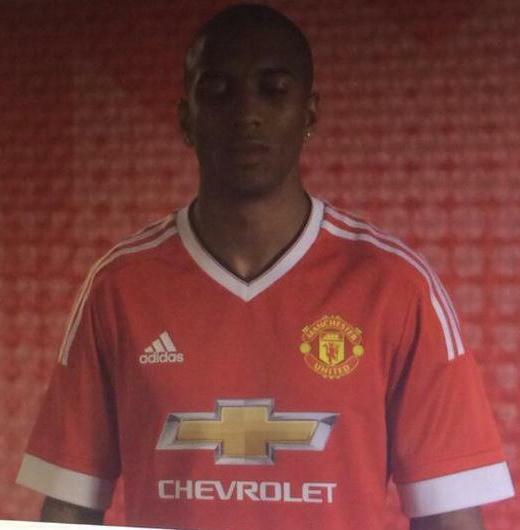 A leaked pic of winger Ashley Young during an alleged photoshoot for the new Manchester United Adidas home kit for 2015-2016 has emerged online. United, as we all know, are switching to Adidas, but the deal is not likely to come into effect before August 2015, thus delaying the release. Nothing too flashy from Adidas regarding this 15/16 Man Utd home jersey. Check out the pic below.Away kit is rumoured to be similar to home, but white in colour, while the third is allegedly inspired by the Madchester kit from the early 90’s.